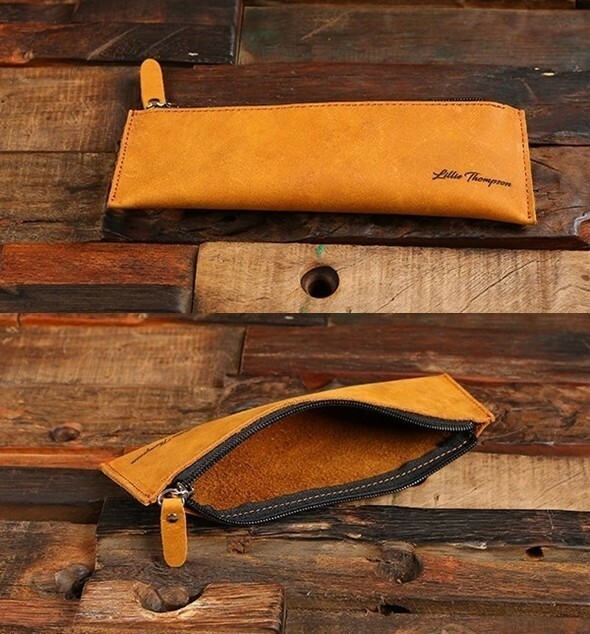 Dimensions: 2 4/5" x 8 1/5"
This genuine vintage-leather zippered pen and pencil case may be engraved with a name or a custom text line in the lower right hand corner in the pictured contemporary script font. The personalized accessories pouch makes a functional gift for business both professionals and educators. PLEASE NOTE: Pens are not included. Better yet, this wonderful gift now enjoys FREE SHIPPING in the U.S.